Have you ever noticed an unexpected increase in your cryptocurrency wallet and didn’t know where the free coins came from? That, my friend, is most likely the result of an airdrop. Hoorah for free money! Airdrops can be delivered in a variety of ways, including forks (e.g. Bitcoin Cash, Bitcoin Diamond), ICO purchases (e.g.Raiden Network), and freebies (e.g. Binance gifting customers with 500 free TRX). Sometimes an airdrop will occur if a team behind the blockchain project decides to give away “free” tokens to the cryptocurrency community. One of the most well-known examples of an airdrop is when a hard fork of Bitcoin, Bitcoin Cash, gave current Bitcoin holders an equivalent amount of Bitcoin Cash. At the time of the airdrop, if you were holding 0.4 Bitcoin, you were one of the many lucky receivers of 0.4 Bitcoin Cash. With Bitcoin Cash currently valued at $2,469.36 USD, that sounds like a pretty sweet deal! However, a big question still remains. Why does this happen, and why would a team decide to give away valuable tokens? Think about it this way. When you’re walking down the aisle of your favorite grocery store and employees are offering you samples of food to try, you may take a quick peek to analyze what the food is to decide if you want to try it. You take a bite, and it sure is delicious. The employee offering you the free sample then says “if you like it, you can find it in aisle 5 on the left-hand side”. From that single nibble, you may just go and buy the product. In marketing, awareness is often one of the initial steps in a buyer’s journey. As with the grocery store example, psychology plays a crucial role in the aspects of an airdrop, as a buyer is much more likely to purchase a product they are familiar with than a product they know nothing about. Therefore, those in charge of distributing the tokens see an airdrop as a key opportunity to give you a taste of their tokens. Compared to alternate forms of costly advertising (such as Facebook Ads), airdrops are often a more effective approach to showcasing coins. How Can I Inform Myself About an Upcoming Airdrop? Many sites and online groups are dedicated to informing users of upcoming, past, and active airdrops. Icodrops and Airdropalert, for example, show a list of upcoming airdrops. They also advise you on how many days are left before they take place and what currency you need to hold at the time of each one to receive the coins. Another way to inform yourself of an airdrop is to simply keep up to date with the various social media accounts of each project. That being said, often times, airdrops are surprises (unless you work with the project’s team). In other circumstances, an airdrop will be announced ahead of time and will have a different set of rules for receiving the tokens. The rules designated to an airdrop are decided on by the project’s team. This explains the differences in airdrop strategies. As of now, there are no standard implementation rules on how airdrops need to be designed. We may see official regulation on how they can occur if the government steps in. What Wallets Do I Need? Usually, airdrops occur on the Ethereum or Bitcoin blockchain and all you need is an account on an exchange. However, those in charge of the airdrop will sometimes state a specific wallet that’s needed such as an “ERC20 non-exchange wallet”. If you’re new to cryptocurrency, you may not know what this exactly means and that’s ok, we’re here to help. What ShipChain means by a non-exchange wallet is simply a wallet that isn’t located on exchange sites such Binance or Coinbase. Reputable non-exchange wallets include Exodus and Jaxx. For a detailed list of wallets, feel free to visit our Bitcoin Wallet guide. The article also includes ways to safely store your tokens and the advantages/disadvantages of using different types of wallets. 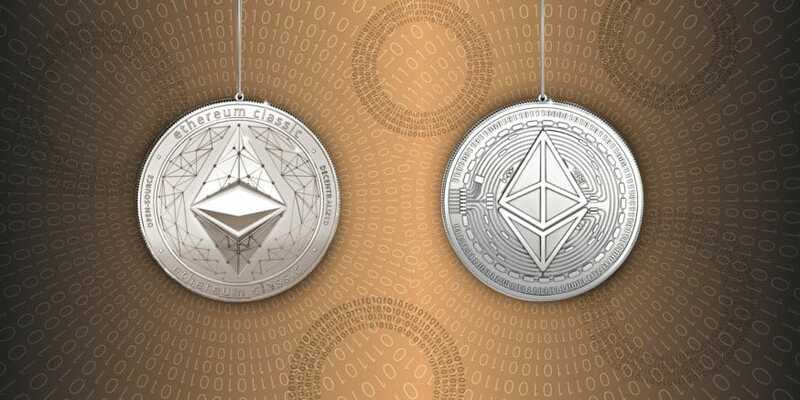 An ERC-20 wallet simply means any wallet that supports the Ethereum blockchain system. Some tokens follow Bitcoin protocol, some follow Ethereum, etc. Therefore, it’s important to have a wallet that allows you to store ERC-20 tokens if that’s what the airdrop guidelines call for. MyEtherWallet (MEW) is a popular ERC-20 wallet. Most importantly, make sure you are visiting the official site of the project when researching airdrops. A good way to filter out scam sites is to visit the official social media pages and find a post which links you back to their website. As stated before, the cryptocurrency market is currently unregulated and the potential for fraud and coin theft is high. Reputable blockchain projects will not ask you for private wallet information beyond your wallet’s public address. Never give out your private keys to ICOs who claim to “need it” for your airdrop to be delivered. Identity theft and hacking attempts are prevalent in the cryptocurrency community, and you do not want to be a victim when proper measures can be taken. Erin is a Brooklyn based cryptocurrency enthusiast & writer. Nomad at heart, you can often find her at the airport heading to her next adventure.